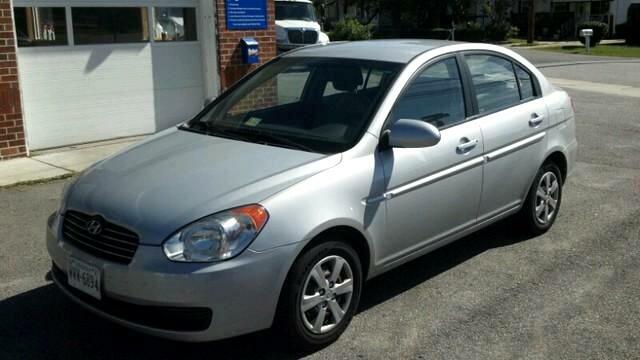 All in One Auto is pleased to be currently offering this 2009 Hyundai Accent Man GLS with 68,891 miles. This vehicle was engineered to be both economically and environmentally friendly with exceptional fuel efficiency. Purchasing a pre-owned vehicle like this Hyundai Accent Man GLS is an easy choice since All in One Auto has collected and provided all records. When you know the full history of a vehicle, you know what you're getting into from the start. This wonderfully maintained Hyundai Accent is in the top 10% of its class when it comes to cleanliness and condition. Econobox has become a bad word, but it seems Hyundai is out to redeem it with the Accent, which comes with the industry's best powertrain warranty. With a starting price around $10,000 and a fully equipped model coming in well under $20,000, the stellar fuel economy seems like a bonus rather than a selling point. Six airbags, TPMS, eight-way adjustable driver's seat, tilt steering wheel and split folding rear seat are all standard for the sedan and both hatchback trim levels.